Packing and moving has since been an age-old act that hasn’t changed in years. The traditional cardboard box has always been the go to for those who need to store their items prior to relocating. The need for an alternative is an ever imposing problem. Millions of pounds of cardboard is used every year and thrown away simply from moving alone, there must be a better option. Plastic moving box rental is the new alternative to the obsolete method of using cardboard boxes. First and foremost plastic containers are reusable and eco-friendly. 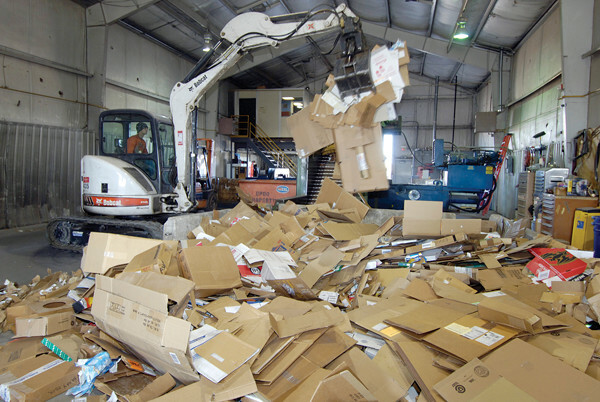 In nearly every case cardboard boxes have a one-time use and once that use is done they are simply discarded. This waste has accumulated and grown year after year and the amount of cardboard that sits in landfills is truly astounding. According to The Herald News, Americans alone use 85 million tons of paper in just one year. 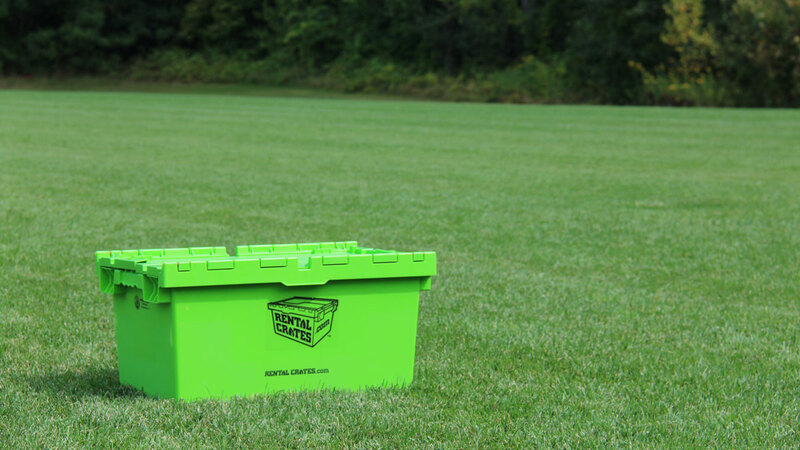 Plastic moving box rental have been making strides to limit and diminish the amount of waste that is created from moving and relocating, by offering easy to use and readily available green alternatives. In terms of strength, Rental Crates are far stronger than cardboard boxes. Plastic containers have the ability to withstand moisture exposure, while moisture would cause cardboard to subside and crumble. Plastic moving boxes also have the capability to be stacked on top of one another without the fear of the bottom container crushing under the weight unlike that of cardboard which has a breaking point of much less. 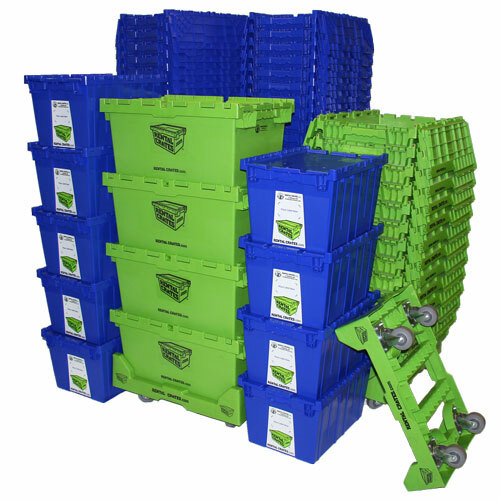 We offer two sizes of Rental Crates that can be easily stacked on top of one another without the fear of the weight being distributed unevenly. Since these containers come pre-designed with groves they easily stack on top of one another and stay put without fear of them sliding or shifting during transportation. Rental Crates also save time, by coming pre-assembled. Users won’t need to spend time assembling and taping boxes as they would if cardboard boxes was used. How Does Renting Plastic Moving Boxes Work? Simply have us deliver your plastic moving boxes to your desired location and you can start parking instantly. Rental Crates.com eliminates the hassle of going to the store and deciding which boxes and how many to purchase. We will deliver your Rental Crates on the designated drop off date to the designated location as well as pick up Rental Crates once you are finished using them at your new location. Rent them for as long as you need. We have pre-bundled packages for both residential and office moves that take all the confusion out of how many boxes you need. Renting plastic moving boxes also eliminates the hassle of needing to dispose of the cardboard once the move is finished. This saves you time and is helping the environment by eliminating the waste from the boxes. When it comes to moving, saving time is the main priority. Utilizing plastic crates not only makes the entire process streamlined, but the main focus of the move can be on packing and moving with ease, and not the need to assemble and worry about cardboard waste. Not only are plastic containers the more viable option but also the impact that they have on the environment is to positive to deny. Rental Crates.com offers the perfect solution for any move whether residential or commercial and will effectively save you time, money, and headaches. Order Your Plastic Moving Box Rental Today!